I did not write this! This is an annotated clipping! Much of modern China stems from the economic reforms brought in by Deng Xiao Ping in the late 1970’s and since that time an unimaginable and unprecedented expansion has occurred in its urban areas. The vast majority of the urban development we see being developed can be described as the ‘Great Street’ and ‘Vertical Block’ (Hassenflug 2010) which can be argued is in its pace of development creating generic and often soulless urban environments lacking in a sense of place or urban community. This is why looking for traces of the past or lingering urban forms here may be seen as a futile exercise. Indeed this drive towards progress isn’t just expanding existing urban areas but creating entirely new cities, and in some cases mega-cities. The prime example of Deng Xiao Ping’s fundamental belief that ‘to get rich is glorious’ is the city of Shenzhen, located across the border from the Hong Kong in Guangdong Province. Since 1978 Shenzhen has now expanded into one of the world’s true mega-cities with an unofficial population of around 14 million. This means that what is effectively a modern prosperous metropolis has been created from scratch in a mere 30 years. If you were to look at areas within Shenzhen such as the CBD (Centre Business District) of Futian District you would see the typical urban signatures of any modern city such as grand highways and towering skyscrapers. However the process of creating Shenzhen, and expanding other urban areas within Guangdong such as Guangzhou and Zhuhai, has had a surprising and fascinating consequence. As Shenzhen expanded it swallowed up the surrounding agricultural land in order to develop an urban landscape. This land was forcibly purchased from the local farmers in order to develop, essentially leaving the local villagers without any real means to sustain themselves. The only thing the villagers owned was their ‘village land’ on which they lived and which was being surrounding by the apparent progress of generic urban development (Song, Zenou & Ding 2003). China, however Communist it may claim to be, is in fact a modern capitalist state, but there is a hangover from Mao’s time which is completely contrary to the idea of a free market and that is the dual land ownership policy which is still prevalent in China today. Simply put all land is divided into two distinct groups, urban land owned by the state and leased to developers for development and rural land which is owned by a village collective made up of the local inhabitants (Song, Zenou & Ding 2003). What this means in our story of the development of these urban-locked villages is that the local villagers themselves retained control of their land and by consequence their community. This land despite being surrounded by state owned urban land was in fact a rural piece of land meaning it could be developed independently from the city itself. But the question remained what were the villagers meant to do with this land? The answer is as pragmatic and capitalist as you can imagine, left with their land as their only asset and seeing a need for affordable housing for rural migrants flocking to the new city they built low income housing (Yan 2008). The form in which they built this is what is truly fascinating; because of the rules governing rural land they could only develop family homes, approximately 10m x 10m. During the thirty years of development these evolved and expanded vertically becoming eight story high residential towers separated by narrow village scale alleyways. The height of these little towers being capped at around eight stories due to the simple fact they don’t have elevators in them. This creates a unique architectural form of the ‘handshake building’, so called because you can reach out and shake the hand of your neighbor. 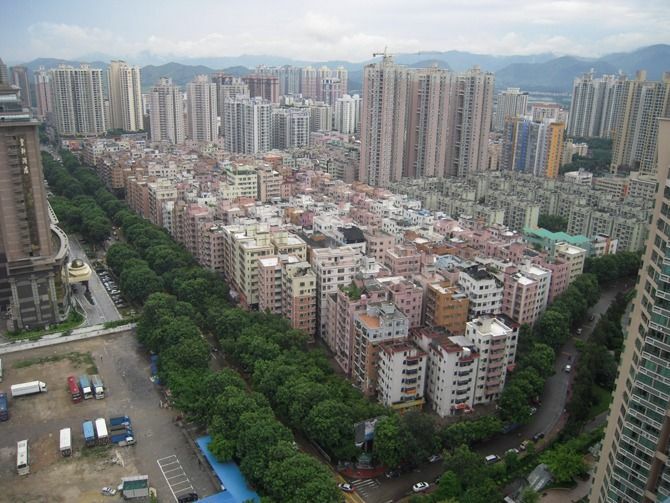 What is produced is a dense urban landscape, such as Shui Wei Village in Shenzhen which is based on a set of rules developed for rural settlements and a rural scale layout. In fact when they are observed there is no trace to suggest they are a village, they look urban and are urbanized in every sense. However they still retain their villager population and their village communal collective, now rebranded to fit in with the capitalist way forward as a ‘village holding company’. 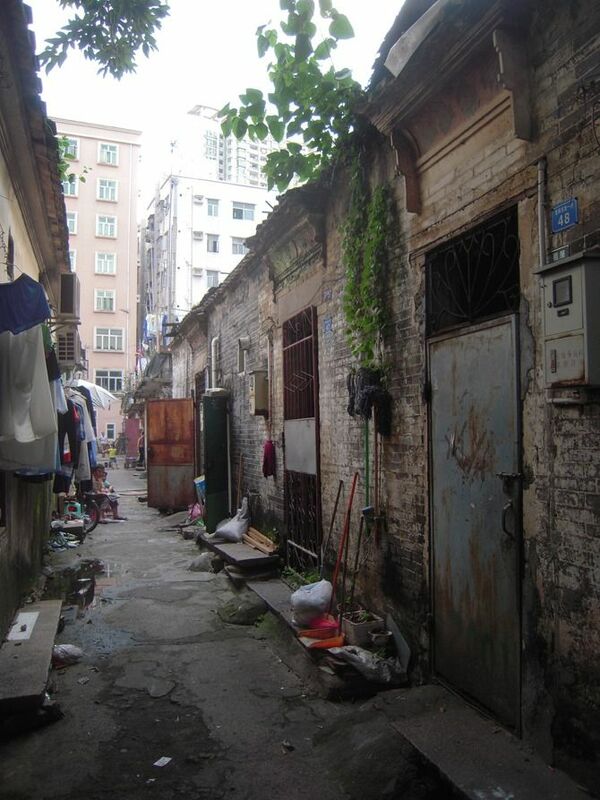 They had become a ‘village-amidst-the-city’ or the Chengzhongcun. 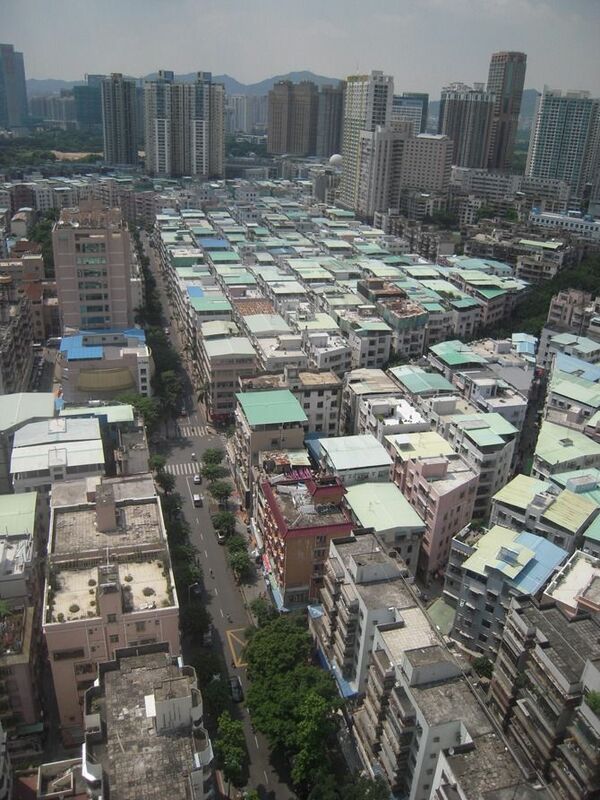 At the time of this expansion upwards and increased density, the mid 1990’s, the city authorities were willing to ignore these Chengzhongcun as they provided low income housing which allowed the rural migrants vital to the creation of the city somewhere to stay (Wu & Webster 2010). However by becoming a magnet for low-income migrants and being independent from the city as a whole lead to lower investment in basic infrastructure and the quality of the built environment is not of the highest quality. Coupled with the fact that these Chengzhongcun seemed to have a higher rate of crime has produced an image of almost near slum status. These areas aren’t slums but compared to the brand new ‘fully planed’ developments around them which consist of gated residential high-rises and commercial shopping malls they don’t appear far off. Instead of considering them slums they should be considered as unregulated assets. They are vital to the overall housing needs of the city and they provide small scale economic opportunities which are not catered for in the larger developments (Yan 2008). In fact it is because these areas have not been planned that they are valuable. The local villagers weren’t developers and were taking a pragmatic approach to their own survival; they went from ‘growing crops to growing homes’ (Song, Zenou & Ding 2003). 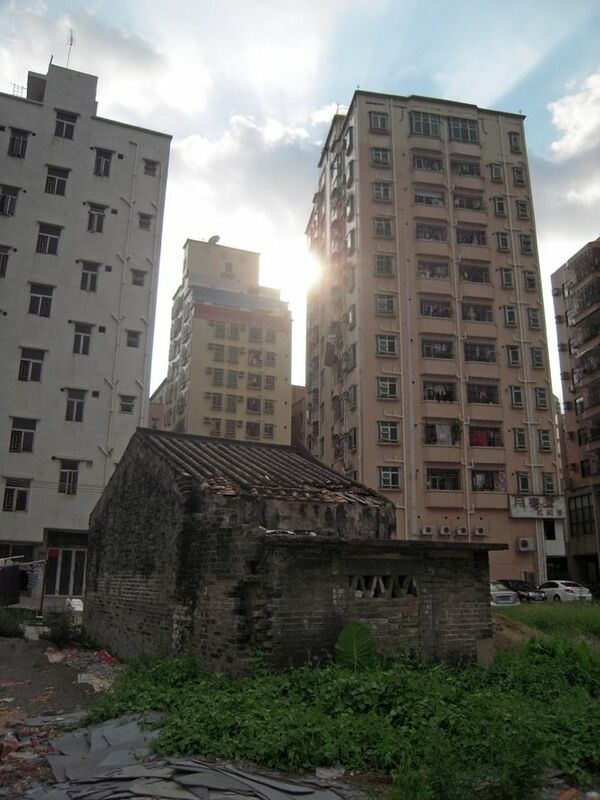 But in order for these Chengzhongcun to have survived for so long and to have prospered there must be some fundamental benefits of their composition other than their low-income rooms for rent. They are an asset, but more than just an economic fix that the government didn’t allow for, they have other benefits unique to their spatial dynamics. 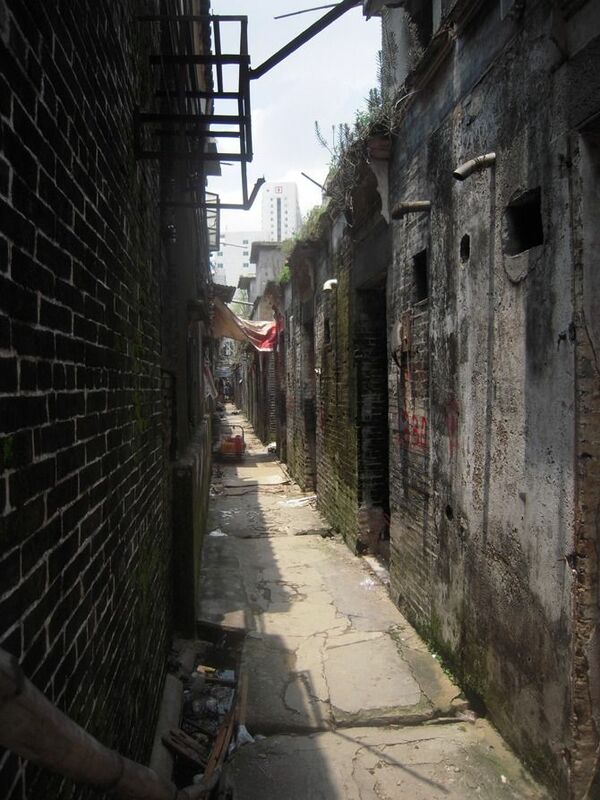 The Chengzhongcun are an easy target for the city authorities, with a large low-income rural migrant population, reports of widespread crime and poor infrastructure (Campanella 2008), but from an urban point of view they are infinitely fascinating. This is because they are not a completely new form of urbanism or even a form which is based on previous principles or rules. They are an organic and pragmatic continuation of a rural Chinese spatial layout. The trace of the once existent village remains in the urban layout but hidden in the scale of the urban development. When viewed amongst the cityscape the Chengzhongcun present a very different set of spatial conditions for daily life to carry on in compared to the great streets and vertical blocks of the rest of the city. Fuxin Village shows a fully ‘urbanized’ village set in a strict grid with replicated ‘handshake buildings’ which provide the built fabric. But when examined with a little scrutiny these Chengzhongcun can be seen as a microcosm of urban life, an antonymous urban block. 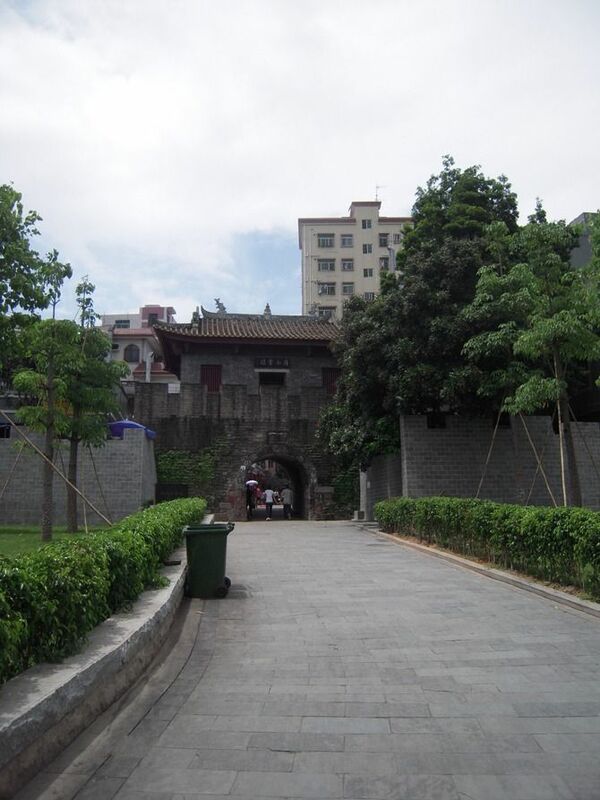 Each Chengzhongcun has its own school, hospital, village holding company office, local history museum, public gathering space (some even have their own amphitheater for outdoor performances). Apart from just these public services the area is alive with bustling small businesses which populate the ground and even first floors of the ‘handshake buildings’. The high density of these varied activities brings a sense of unity and consolidation to the overall environment. It may seem at first that the incredible density which characterizes these areas would be a problem, but which is the factor that actually serves to make them a success living environment. 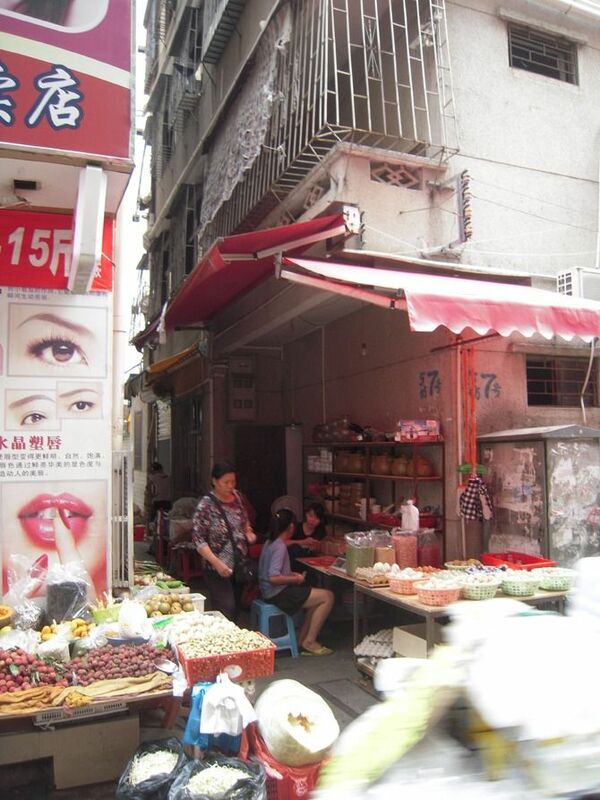 An issue which the surrounding city has, which the Chengzhongcun doesn’t, is the distance its inhabitants have to travel to certain amenities, such as from their homes to the supermarket or their workplace. The high density and varied land use within the Chengzhongcun allows for its residents to be walking distance from everything they need, including employment. This scale means that the local villagers have retained their almost insular village lifestyle but have the added benefit of having a mega-city and the benefits that brings on their doorstep. 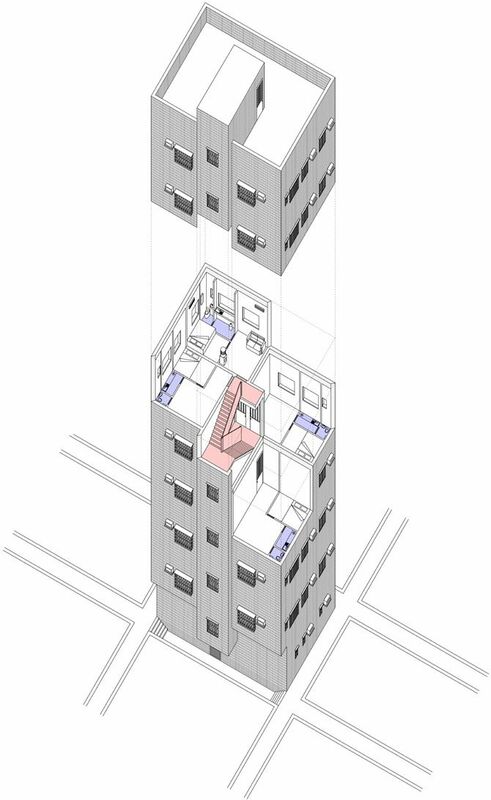 However this density must be brought into context of what it is like to live within one of these urban landscapes. 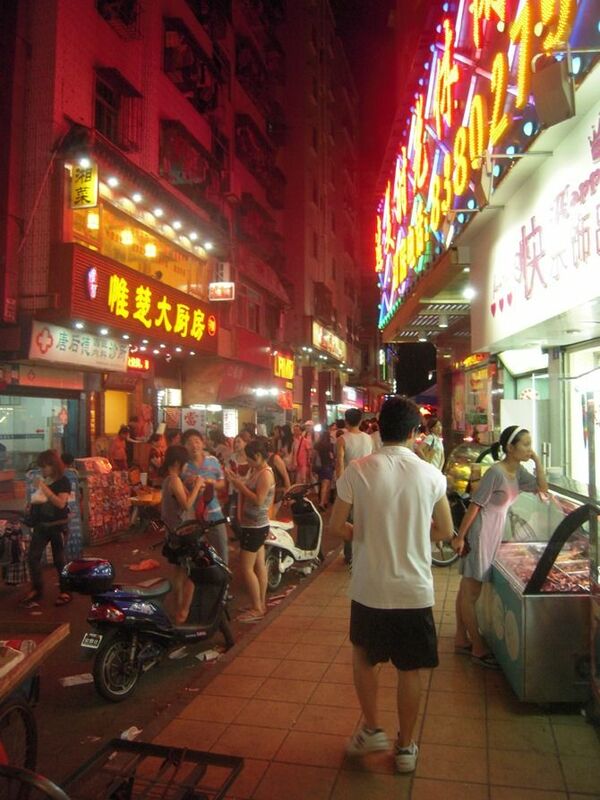 The Chengzhongcun is a vibrant place which is alive twenty-four hours a day and there is a constant hum of activity. The ‘handshake buildings’ over look one another and it is easy to see directly into your neighbor’s living room. These facts should not be considered a negative, but they are the consequences of living at such a high density. It can be argued that such a model of living would not be acceptable in a Western society but in the Chinese context and culture this model is perfectly acceptable and actually thrives. 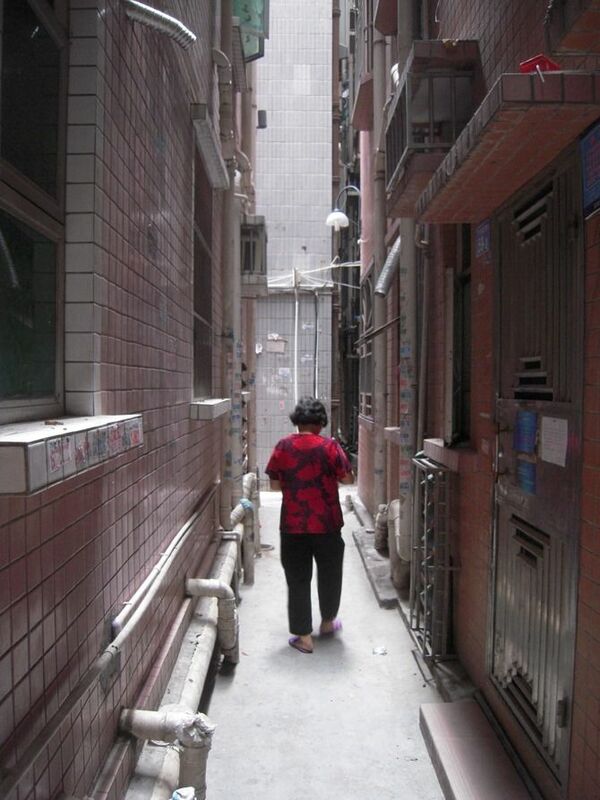 The boundaries between private and public within the Chengzhongcun as so blurred that even your own home becomes part of the public realm being overlooked. It can be said that this layered living actually reinforces a sense of inclusion and a sense of belonging almost, a sense of belonging to a place and a community. Unlike living in a faceless gated high-rise were you are sealed in your own apartment, living in the Chengzhongcun binds you to a place, you are constantly aware of the environment you are living in and constantly feel part of a wider social group. This is perhaps how a social trace of a village community has remained despite all physical traces of the village disappearing. The constant flow of daily life spills out onto the alleyways and brings with it a vibrancy which can only come from people living on top of other people. The constant social interaction and the constant feeling of an urban society that is ever present within your life. The fact that everything you need from supermarkets to workplaces to entertainment is literally round the corner. These are elements that a mega-city designed in zones of activities and connected by vast transport links can’t replicate and these are the exact characteristics that give the Chengzhongcun their atmosphere and sense of place. 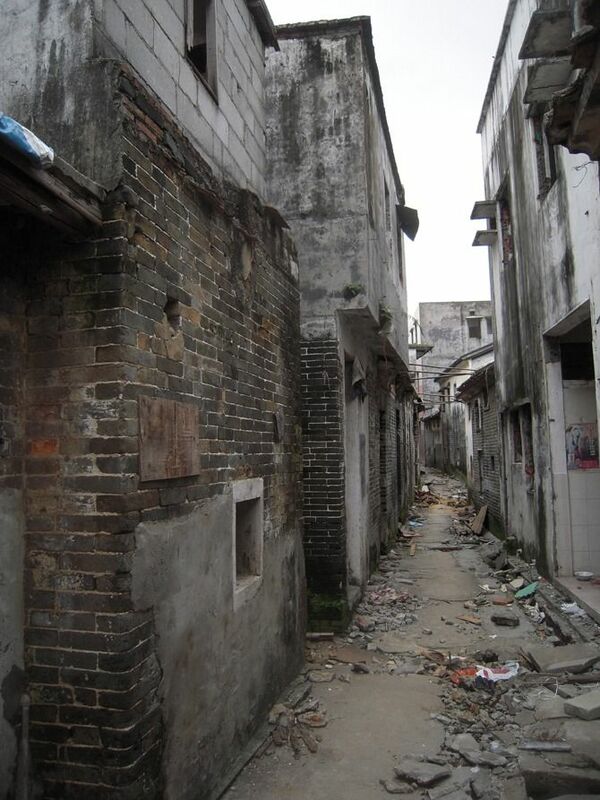 When viewing these Chengzhongcun they appear fully urbanized and little remains of their rural past, but there are urban and architectural fragments which show the history that is inherit in these places. 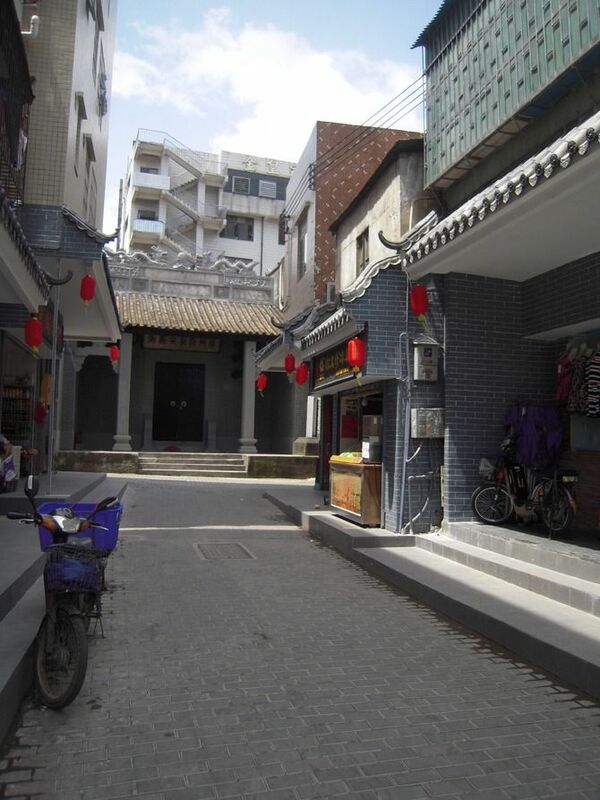 Many of these Chengzhongcun retain an ancestral temple which in some like Xiasha Village is given pride of place or in Nantou Village where the original village gate and in Huanggang where original houses are hidden amongst the ‘handshake buildings’. These built fragments of a collective past have been important enough to retain and maintain through urbanisation. These elements add yet another unexpected layer to these Chengzhongcun that adds to the duplicity inherits in the nature of these areas. In order to survive they have had to pragmatically strip away their past to become sustainable but have retained small fragments of history which have been deemed important to them. Again this simply reinforces the sense of village community. However retaining some small village temples is a minor yet superficial way of retaining your culture. What is more fascinating is that the gridiron layout of these Chengzhongcun is not merely an enforced urban form which best utilises the available land, it itself is a form of conservation which can’t be immediately observed. If we consider villages like Huang Bei Ling which hasn’t fully been urbanized yet it is clear to see the gridiron pattern of development which the ‘handshake buildings’ is based on is in fact taken form pervious village layouts. This means that the alleyways, which are extremely narrow has been an inherited inherent Chinese feature brought forward organically. It isn’t only that it is acceptable to have high density in a Chinese context but that density has always been present and the social acceptability of density is much greater than say in the West at present. Not much of the physical past may remain within these villages, apart from a few preserved ancestral temples and some built fragments but that isn’t actually what is important to survive. What can be said to be the real important traces of the past is the spatial dynamic, perhaps not vertically, but in terms of the appropriate scale and relation of building to building. When examined these new urbanized villages are built in clustered grids just as the original village was. The true trace has been ingrained into the pragmatic urban response to surviving forced urbanisation. 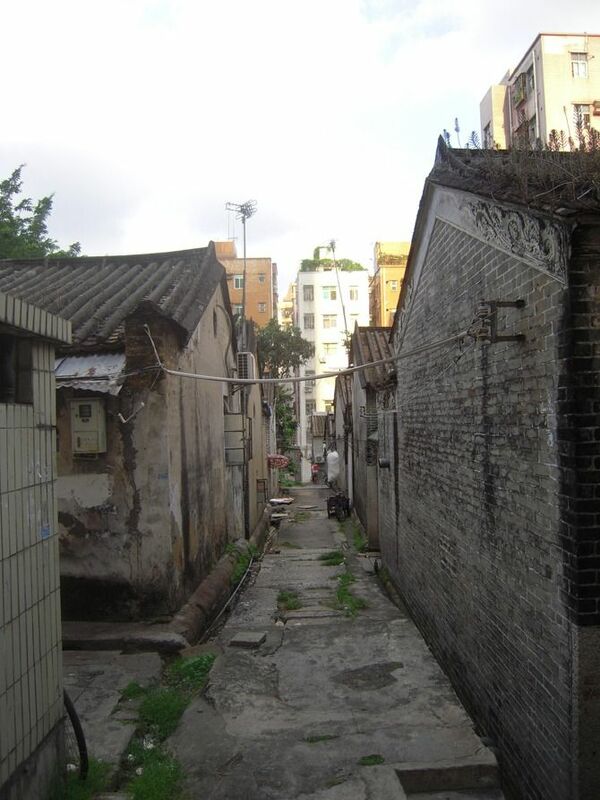 This is why these Chengzhongcun aren’t merely slums packed as tight as they can be, they have an urban form which has developed and which has been tried and tested and accepted by its inhabitants. rural community at the heart of it. The Chengzhongcun are a fascinating phenomenon, they are an example of an organic Chinese urbanism in which density and scale have shown that a successful urban community can be developed that is not the standard commercial podium and vertical block that characterize the modern Chinese city. In fact an urbanism with community and social interaction, one which has grown out of a rural beginning can sit just as comfortably within the context of that most 21st century form of a mega-city like Shenzhen. So how can you best describe a Chengzhongcun? Well, I would describe them as Collectivity through Individuality. In terms of all scales, from one-to-one details to the overall layout of ‘handshake buildings’ there simultaneously exists this feeling of a strong collective community and yet a sense of personal expression. What I mean is, even in built form, each ‘handshake building,’ although individual and unique, combined with the overall mass presents a visual and spatial cohesion. This nature reflects itself in every social aspect as well from the idea of ancestral history to individual family shrines, from the Village Holding Company to individual family businesses within the ‘village’. Perhaps this is the ultimate clash of an inherited communist collective system with the individualistic free market translated into the built form of Chengzhongcun. One thing I can conclude with certainty is the value of the Chengzhongcun. I believe if you truly want to understand contemporary China then you should try and understand the Chengzhongcun. The traces of history mixed with pragmatic development, the hap-hazard approach and determination to achieve progress, the self-regulation and social cohesion, the density and intense atmosphere of social interaction are all elements that are present at all levels of Chinese society. Here in the Chengzhongcun they are exaggerated and amplified given an insight into the Chinese mindset. For me the Chengzhongcun are in their way a summary of China at this moment in time. To have architecture achieve this is quite special, it was organically produced from the people themselves and the value lies with the villagers and migrants who live in these places, the people who produce the vibrant lifestyle and preserve the ancestral heritage and create their shared communal living. 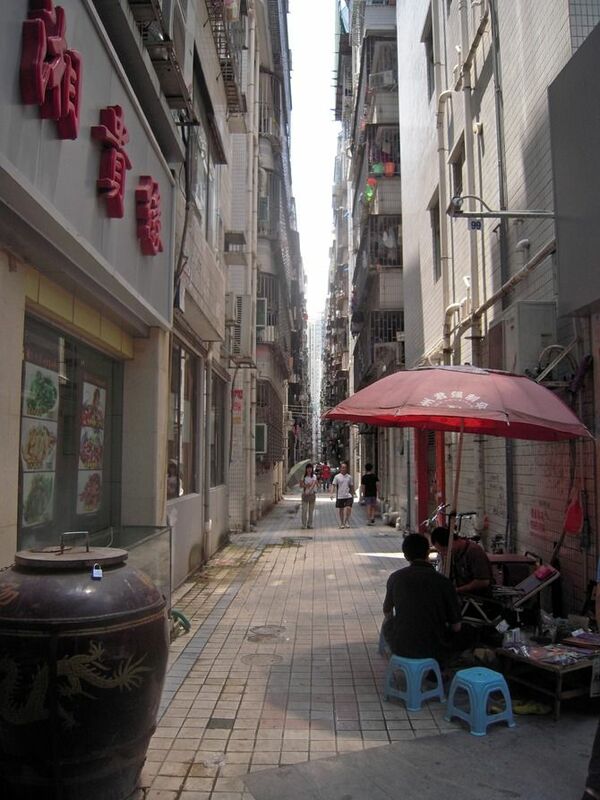 It is that quintessential Collectivity through Individuality that is so appealing and produces these fascinating communities and fascinating communal urban space that is uniquely Chinese. — Campanella, Thomas J., The Concrete Dragon: China’s Urban Revolution & What It Means for the World, (New York: Princeton Architectural Press2008). — Hassenflug, D., The Urban Code of China, (Basel: Birkhauser, 2010). — Mars, N. & Hornsby, A., The Chinese Dream: A Society Under Construction, (Rotterdam: 010 Publishers, 2008). — Song, Y., Zenou, Y. & Ding, C., “The Role of China’s Urbanizing Villages", Urbanization in China: Critical Issues in an Era of Rapid Growth, (Cambridge: Lincoln Institute of Land Policy, 2003) pp. 145-168. — Wu, F. & Webster, C., Marginalization in Urban China: Comparative Perspectives, (London: Palgrave Macmillan, 2010). 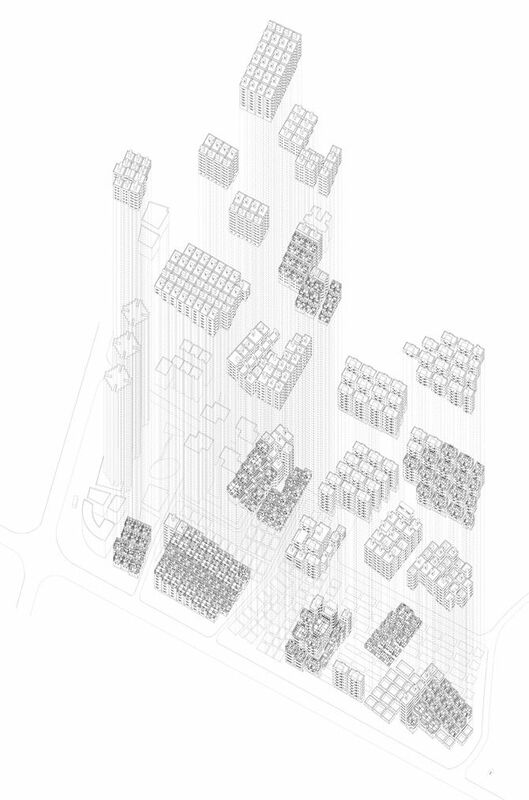 — Yan, M.:2008, “Urban Villages," Architectural Design, September/October, pp.52-59. John Joseph Burns is currently an architect (UK registered) working for Holmes Miller based in Glasgow, Scotland. John previously worked in the city of Shenzhen for a period of two years for two different offices which has given him first-hand experience of both living in and working in China. John is also involved through his current office with collaborating with Guangzhou LDI (Local Design Institute) in live projects within China. John has maintained academic links within China and has presented work at both Guangzhou University in Guangzhou and at Xi’an Jiaotong-Liverpool University in Suzhou.